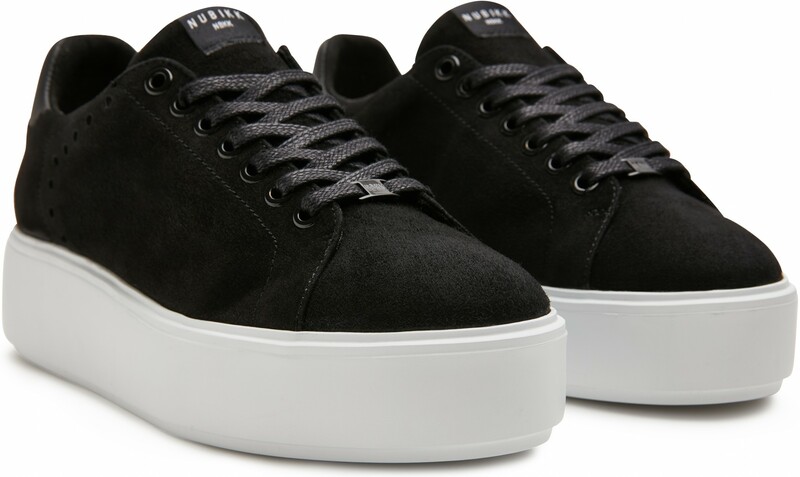 Nubikk Elise Perfo Suede is a low laced hip women’s trainer, made of high-grade black suede. The thicker lightweight sole and Nubikk features make it a rugged Nubikk trainers variety. The Elise Perfo suede is inspired by the '90s. 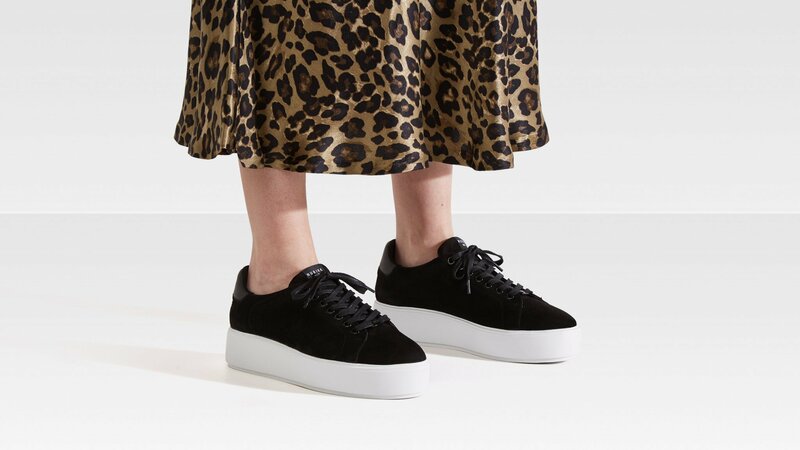 The black platform trainers have a lightweight EVA platform sole for top comfort and provide just that extra bit of 90's glam. The black trainers give each outfit an uplift, literally and figuratively. 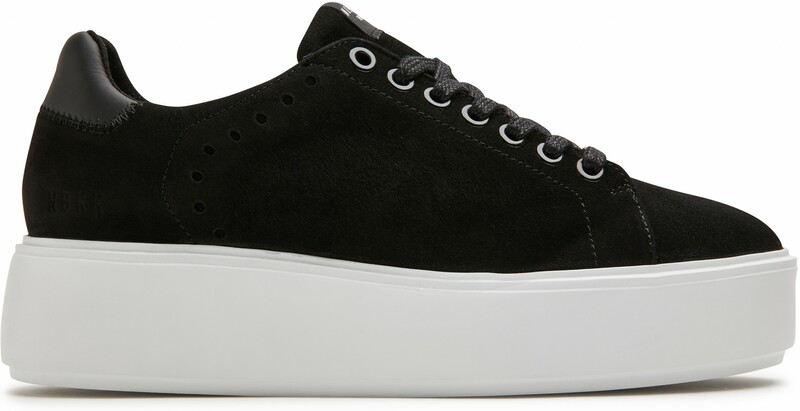 The Elise Perfo suede trainers are available in black and white leather. We advice to take one size smaller compared to well-known sportbrands. In the following chart an overview of our sizes. 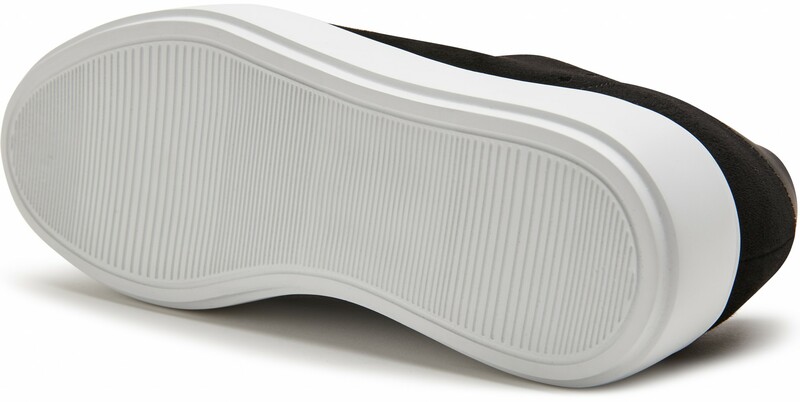 The insole is measured for the number of cm and inches. For tailored advice, we advice using the iDfits app or contacting us. Orders that are completed on weekdays will be delivered free of charge within 1 - 3 days within Europe. The return policy of Nubikk allows you to return the product free of charge * within 14 days after receipt. More information about exchanges and returns can be found here. * Not valid for discounted products. € 6.95 is deducted from the reimbursement. Subscribe to the free newsletter and ensure that you will no longer miss any offers or news of NUBIKK® | Official webshop.